My Life, My Hell by Dan R. Vaughn, Jr.
Dan Vaughn of Chattanooga, Tennessee, was drafted into the Army in January of 1968 when he was 19 years old. After basic at Fort Campbell, he was shipped to Fort Dix for Infantry AIT and then to Fort Benning for more training. Vaughn arrived in Vietnam in August of 1968, serving a year with the 2nd Battalion/1st Infantry of the 196th Light Infantry Brigade. It was an eventful year and one that Vaughn relates chronologically—and well—in My Life, My Hell: This Grunt’s Journey Back to the World (E-Book Time, 172 pp., $25.95). 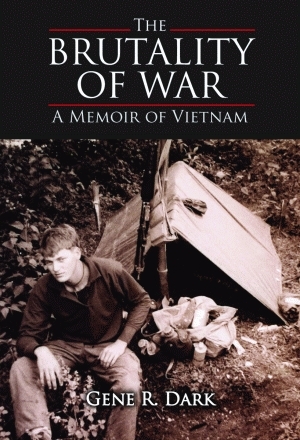 Vaughn—known to his buddies in Vietnam as “Dangerous Dan”—does a good job illuminating the day-to-day life of an infantryman in Vietnam during the height of the war. Any book with the words “Agent Orange” in the title gets my attention. 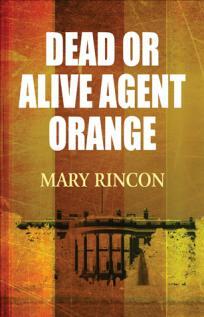 Mary Rincon’s Dead or Alive Agent Orange (PublishAmerica, 25 pp., $16.95, paper) grabbed me with the bright orange on the cover. Once that is said, there isn’t much to this odd little book other than sincerity about having lost a father, another one of those “distant” fathers. I think this book was meant to be poetry, as the typography is uneven. Rincon does delineate briefly the sickening results of AO exposure, and she says that her father died of small-cell cancer. The editing could be better, but the sense of grief and loss comes through, even on the pages that bring in UFO’s and the possibility that the author’s father was cloned and is not really dead. This is a unique book, but most will find it beyond the pale. Gene R. Dark’s The Brutality of War: A Memoir of Vietnam (Pelican, 192 pp., $24.95) is a short but powerful memoir by the son of baseball great Alvin Dark. It’s a Fifth Marines memoir and Dark tells of his tour of duty as a platoon leader sergeant from July 1969 to July 1970 near An Hoa. Better editing would have improved the narrative, but the honesty of the book saves it, especially Dark’s heart-rending comments about his distant relationship with his World War II veteran father. This is a worthy Marine Corps memoir, which I found compelling enough to read that I got through it in one sitting. Dan Guenther was a Captain in the Marine Corps from 1968-1970, and has written a trilogy that draws from his Vietnam War tour. Several of the poems in The Crooked Truth: Selected Poems (Redburn Press, 76 pp., $9.95, paper) come from that experience and are image-rich and accessible to a reader. He even includes an Agent Orange poem. There is no mawkish sentimentality anywhere in this little book because of Guenther’s plain-yet-elegant language. Dan Guenther remains one of the finest poets of the Vietnam War. Darrell S. Mudd’s Cold War Burning (PublishAmerica, 462 pp., $29.99) is billed as fiction but contains a lot of photos, which makes it look more like a memoir. It includes a photo of the 16th green of the Dalat Palace Golf Course, which I enjoyed looking at, but could make no sense of. I had trouble making heads or tails of this “adventure fiction.” The back cover states that Mudd served on military assignments in Germany and Vietnam, and that this is his first novel. It’s hard to tell if How Can You Mend This Purple Heart by T. L. Gould (CreateSpace, 216 pp., $11.99, paper) is fiction or memoir as it is driven by a lot of invented dialogue dredged up from forty-year-old memories. The author doesn’t tell us what it is. There is no clear statement that informs the reader of what branch of the military Gould served in or his time of service in Vietnam or if he served there. Perhaps he served in the Navy. Perhaps he served from 1969 to 1970. Much of this book takes place in a U. S. Naval Hospital in Philadelphia, Ward 2 B. If you want to read a book dealing with life as a patient in a Naval hospital during the Viet Nam War, perhaps this is a book for you. Carl Hitchens tells his readers in Sitting With Warrior (iUniverse, 180 pp., $13.95, paper) that this book is a “work of personal memoir, myth and spirituality,” so I can’t tell you when and where Hitchens served his time as a Marine in Southeast Asia, not for sure. His book alternates prose chapters with poetry-like chapters. The time period could be 1968 to 1969 and Hill 37 is mentioned in this myth-heavy book. It is a carefully edited and physically beautiful book, but ultimately it remains a mystery, and is enigmatic to this reader. Perhaps the author is an American Indian and perhaps he served in Quang Nam Province. But as the author warns us up front, “this is a dream.” Okay.